Winners awarded cash and workspace to bring idea to reality following startup event. Some of this area’s sharpest minds have just pulled another all-nighter, for the third Chilliwack Startup Hackathon. The 24-hour Hackathon is designed for participants to build a tech company in the time available, and matches business people and techies in a competitive format. This time around, 17 participants registered and formed three competitive teams, and one non-competitive team. The three competitive teams pitched and demoed their new tech companies to five judges: Netty Tam from CEPCO, David Harper from I&[email protected], Jonathon McIntyre from i-Open Technologies, Wim Kerkhoff from Crafty Penguins, and David Leger from Loop Energy. The event was held at UFV, and ran through the night, from March 22 to 23. In the end, Tony Dehnke and Daniel Kanis took home the win for 12V.Biz + Toolbox. Organizer Colin Schmidt says the duo had not met prior to the beginning of the event but came together with Dehnke’s business experience and Kanis’ technical experience. They designed and built a new SaaS (software as a service) solution for the custom car audio industry. Last year’s winning team was back to participate in the event and built their first VR game: Shark Bait! They had built several 3D games before, but not a VR game. The basic game mechanics were all running and demoed during the final presentations on a Oculus Rift. 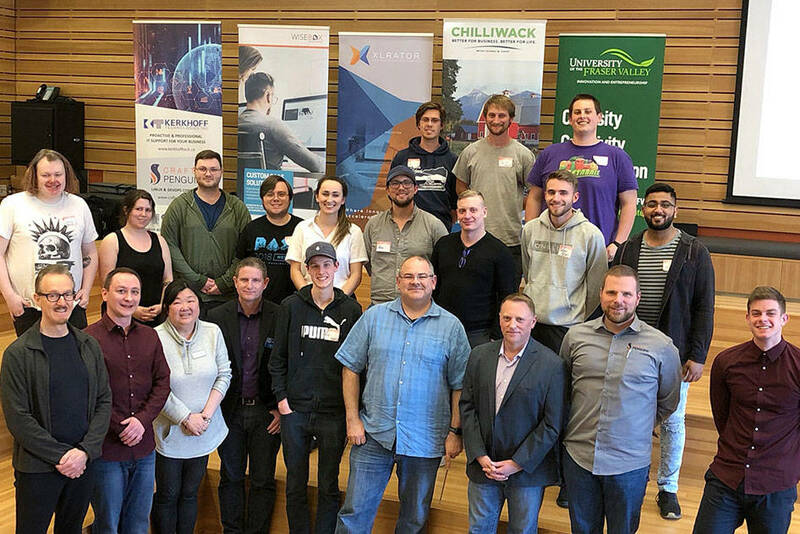 The event was organized by the Chilliwack.Tech community group, a chapter of XLRator, and part of the Chilliwack Innovation Network. Supporters of this initiative included XLRator, the University of the Fraser Valley, Community Futures South Fraser, CEPCO (Chilliwack Economic Partners Corporation), the Downtown Business Centre, and Wisebox Solutions. Participants started with a networking session late Friday afternoon to get to know each other, then received a one-hour education session that introduced using three common tools to validate new business ideas. Those who showed up with ideas but not a team gave a quick pitch to attract additional team members. Then all teams worked on both the business plan and the technology for 20 hours, iterating and “pivoting” as needed. Schmidt says several teams changed up their plans significantly at least once during the event. All teams received two mentorship sessions along the way. One was to help validate the ideas, and the other was to help ensure they would be ready for the pitches and demos. 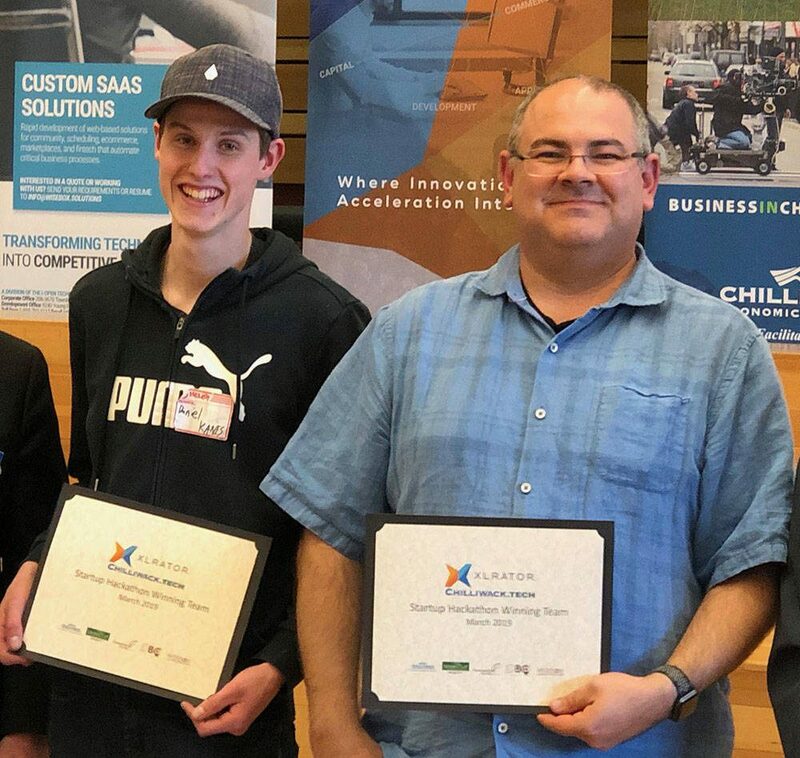 The mentors where Tim McAlpine from Currency Marketing and Cowork Chilliwack, Dave Leger from Loop Energy Inc., Colin Schmidt from Wisebox Solutions, Kalvin Morrow from Greenhouse Games, and Demian Brecht from Salesforce. The winning team was awarded $1,250 toward bringing their product to market, and six months of office space at the Downtown Business Centre. XLRator is closely aligned with local government, provincial government and industry to increase skilled tech training and create local jobs.